Media buzzed worldwide to the tune of 3.5-billion impressions when Quinn developed and executed a multi-faceted, multi-year sustainability campaign around the Waldorf Astoria New York’s new roof-top garden and bee hives. 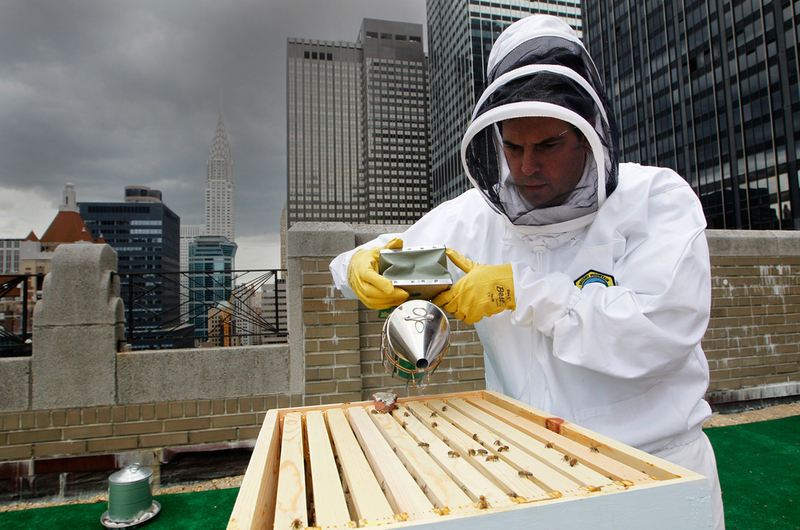 The Waldorf Astoria New York called on us to create and execute a sustainability program around its new rooftop garden, including six beehives. The “V.I.Bees” were welcomed in true Waldorf style – black limo, red carpet and liveried staff greeting – as accorded to other arriving dignitaries. We launched the new garden oasis with Tim Gunn planting the last tree. We hosted a honey challenge with sister Waldorf Astoria property, Maui’s Grand Wailea, and its own roof-top honey. Camera crews and top-tier media swarmed the events. We recommended strategic ways to integrate the honey and other garden ingredients into the hotel experience while leveraging the Waldorf Astoria brand pillar of authentic moments. Unparalleled roof-to-table dishes and cocktails with ‘Top of the Waldorf’ honey and garden ingredients were born. Distinctive roof-to-spa table experiences were launched. Additionally, the roof oasis was added as a stop on the hotel’s historic tour. The explosive media attention prompted numerous guest inquiries, local community engagement and media requests for interviews and tours. Media coverage surged around the globe: Associated Press (three times), Wall Street Journal (twice), New York Times (twice), ABC’s The Chew (twice), CNN, O Globo, Conde Nast Traveler Spain, Robb Report Singapore and Time.com, just to name a few.